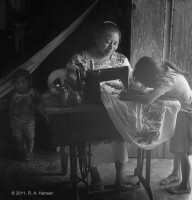 From 1994 to 2004 Robert spent up to a month each year photographing in southern Mexico. 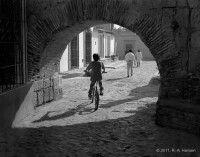 This work, edited from more than 5,000 negatives, was published in his 2004 book, Yucatan Passages. 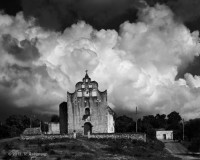 In 2012, Robert's prints were selected to be a part of a national museum exhibit initiative titled "Made in California." 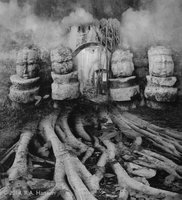 The exhibition, sponsored by Contemporary and Modern Print Exhibitions, showcases 65 of his platinum/palladium, gelatin silver, and varnished pigment prints. 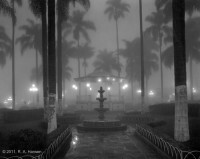 In this gallery is his personal selection of editioned images available for purchase. 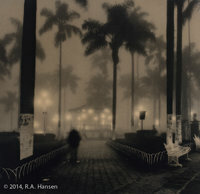 Robert Hansen's Yucatan Passages work is represented by the House of Photographic Arts in San Juan Capistrano, CA. 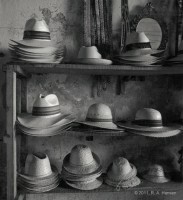 This process was invented in the late 1800’s. 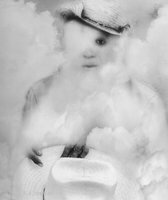 It involves using Platinum and Palladium metals combined with a sensitizing agent coated on archival watercolor paper and contact printed with the photographic negative to arrive at a positive print. 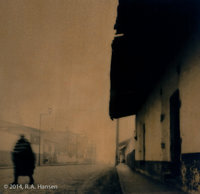 This beautiful, full tonal process was a favorite of the early pioneers of photography including Edward Weston, Alfred Stieglitz and Frederick Evans. 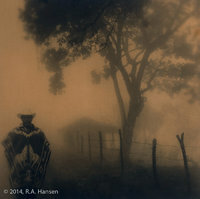 When used with the appropriate subject matter it results in an ethereal, full tonal image that conveys the emotion of the original subject better than any other printing method. The varnished pigment print (brown-tone) process was discovered by Robert by applying a special varnish to the original pigment prints. This varnish deepens the contrast and gives a two-dimensional feel to the print. 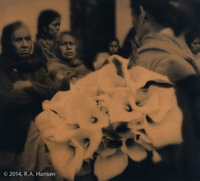 It is also considered to be a unique process in that each print made from the original negative will be different. 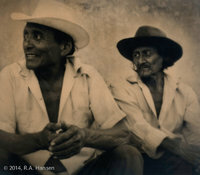 These differences bring excitement and originality back into the printing process when older negatives are reprinted.